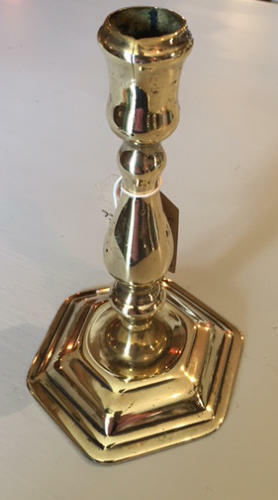 Rare Single Brass Candlestick, English c.1700. Hexagonal base with simple candle socket. A few holes on body typical of such an early candlesick that has been polished for the last 300 years.